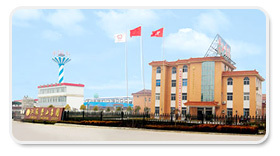 technical company in China. Our annual producting and compounding capacity is 8000 tons technicals, and we process 20000 tons preparation pesticide every year. We have passed ISO9001:2000 quality authorization, ISO14001:1996 environment control system, and OHSMS vocational health & sanitation management authorization. We can supply many kinds of pesticides (glyphosate, beta-cypermethrin, lambda-cyhalothrin, deltamethrin, trifluralin, chlorpyrifos, quizalofop-p-ethyl, acetamiprid, imidacloprid...) And, we have a professional technician team, and we can provide our customs with timely and convenient technical direction. As a professional supplier of agrochemicals, we have been working in this field for more than 20 years. So far, we have exported various branded products under the WHO or FAO standards to more than 50 countries all over the world (Southeast Asia, South America, North America, Europe, Australia, Mid-east and Africa). It is our pleasure to trade with people of all the world on the basis of equality and mutual benefit. We are also supplying a service of registration. If you are interested in any of the products, please feel free to contact us.